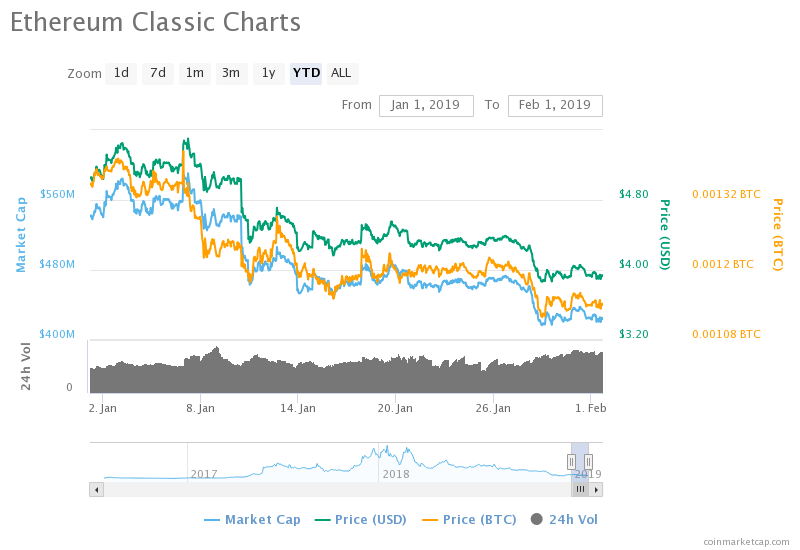 Ethereum Classic, the 17th largest cryptocurrency (by CoinMarketCap) with its current market cap trades $426,494,742 (10:18 UTC) on February 01 declined in current value by 30.5% relative to January 06 as analyzed from the graph above. The strong bearish pressure and competitive forces that caused a drop in value relative to January 06. However, the ETC/USD pair gained in value by 15.21% than December 06 as interpreted from the graph above. The entire pair ETC/USD pair where it remained ‘uptrend’ from December 18 to January 06 as interpreted from the graph above. Since 20-day EMA is above the current value which elaborates the ‘downtrend,’ those that would like to gain in value by creating the long position in this altcoin, they should remain on the sideline until the current price starts trading above 20-day EMA thereby offering the best return. Now let me walk you through certain milestone that this cryptocurrency attained in the recent past. The ETC/USD pair remained range bound from December 17 to December 25 last year, as the cryptocurrency rallied from a low of $3.7 to a high of $5.78 which is a 55 percent return within seven days. As we can quickly examine from the graph above that the MCap stands a, $426,494,742 (10:18 UTC) with the Price (BTC) 0.00113366 and Price/USD is 3.90 through orange trend line with 24h Volume 159,249,657 USD (10:23 UTC) can be interpreted from the graph above. Since the Price, BTC traded all-time high on January 07 above MCap and Price BTC signified a bullish trend. However, since then it dropped like a stone, and from January 12 onwards it took the lead till today (10:25 UTC) which can be analyzed from the graph above. However, based on the first graph, if bulls were succeeding above the current resistance level $4.35 (10:37 UTC) (i.e., price traded above the EMA) the investors will start buying this currency more and more thereby increasing its value. However, based on the current trend, the next support level could be $4.05. 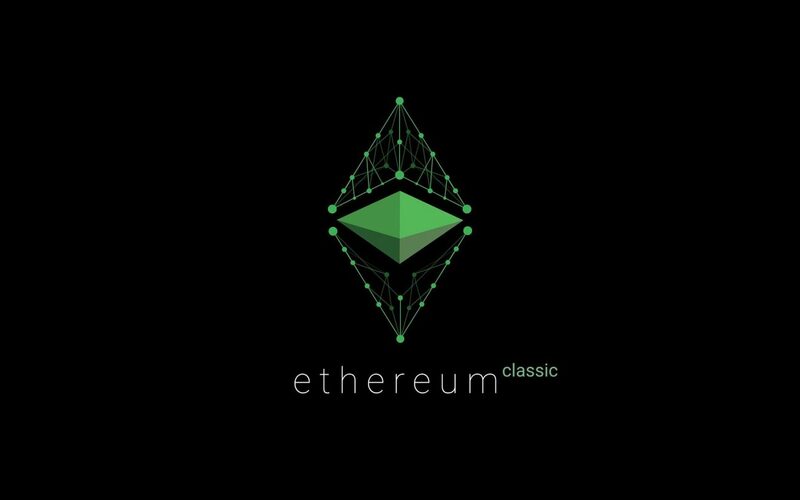 Ethereum Classic (ETC) is a smarter blockchain, and it is a network, a community, and a cryptocurrency that takes digital assets further. Additionally, it allows people to send the value to each other, besides this, it allows for complex contracts that operate autonomously and cannot be modified or censored. Let us not forget that if the Internet were merely a bunch of interconnected computers and didn’t have any users or creators making websites, it would be mostly useless. In much the same way a blockchain needs users and creators. ETC has both, and they work on solving real-world problems of interconnecting people and their devices!